For many people, visual health is often the least of their concerns. As long as they can see with clarity, they disregard the need to visit an optometrist to have their eyes checked. Fortunately, it is never too late to start taking care of your eyes. At Eye and Vision Care, we encourage you to schedule an eye exam as soon as possible. In doing so, you can obtain a better understanding of the current state of your vision. First, discover the importance of this procedure in today’s blog. Eye and vision problems begin to manifest as you age. Your eyes become less flexible, making it hard for you to read, do close work or distinguish different shades of color. You may experience problems with glare or tear production. You may even require more light to see well as you used to. It’s these reasons that necessitate an eye exam. 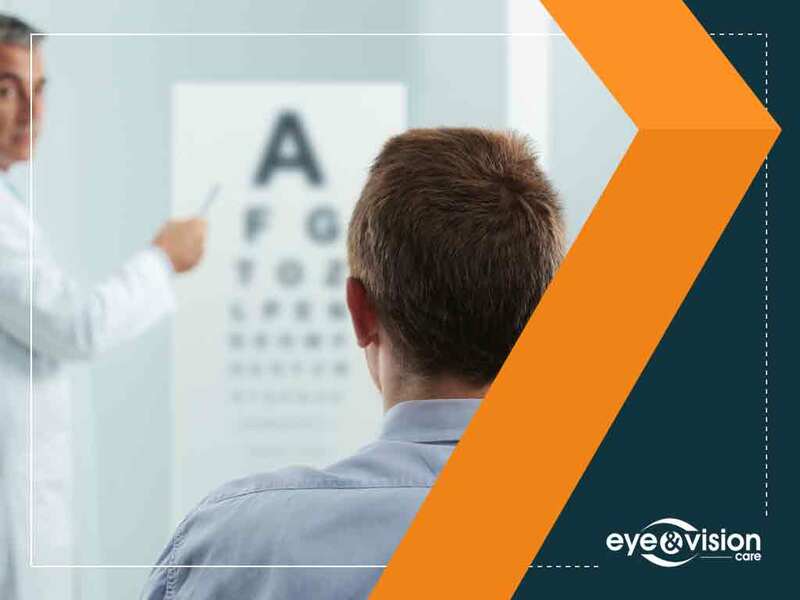 It consists of a series of tests with the main goal of determining whether you have a vision problem or an eye disease. From there, the eye doctor would find out the best course of treatment or control plan to either prevent or manage the condition. The American Optometric Association recommends twice-a-year eye exams for adults age 18 to 60 and annual exams for seniors age 61 and older. Refractive errors like nearsightedness or farsightedness would require wearing contacts or eyeglasses to improve your vision. You can only be prescribed those when you undergo an eye exam. With every visit, the doctor will check for improvement. At Eye and Vision Care, we don’t just provide corrective eyewear prescriptions. We can also recommend other forms of treatment for your eyesight-related condition, including orthokeratology and laser vision correction methods. To learn about our lenses, frames, and other eye care services, give us a call at any of these numbers: (703) 722-6516 if you are in Ashburn, (703) 988-2571 if you are in Fairfax, (703) 910-5952 if you are in South Riding or (703) 659-2635 if you are in Haymarket. You may also fill out our contact form to schedule an appointment. We serve residents of Haymarket, VA, and nearby areas.